If your company stores hazardous chemicals onsite you will, at some point, be required to present a legitimate chemical inventory to federal, state, or local authorities. Many companies have turned to chemical inventory software to automate or simplify the process. 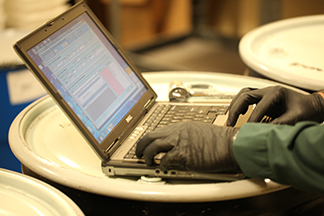 Choosing the right chemical inventory program is an important decision. The correct software for you depends on your company’s needs and wants. Here are some tips on how to make a decision that’s right for you. How Big Is Your Chemical Inventory Program? The more and more chemicals used on a site, the harder it is to keep accurate track of the chemical inventory. If you have more than a few hundred chemicals, it is quite difficult to run necessary reports by hand or on a spreadsheet. Inventory tracking software makes it much easier to add and remove chemicals, which keeps a truer log of your chemical stock. You want a system that will keep up with the movement of chemicals through your facility. You’ll also want to think about how many people need to use the system and to what level, because this can affect the type of package you end up purchasing. Some software targeted at large companies has to be purchased and licensed outright and offers tons of capability. Most of those systems require huge up-front costs, and you need to purchase updates as they come out. Other providers offer subscription-based pricing. In that case you don’t own the software, but the cost is usually more manageable, and updates are included. 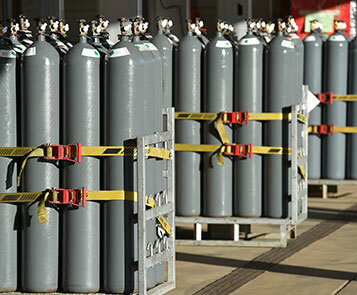 Safety is a vital aspect of implementing a chemical inventory program. It is generally the basis of all the regulations that require an inventory tracking system. In addition to flagging chemicals that require special permitting like flammable materials permits, some software allows you to flag chemicals that are highly hazardous or that have a sensitive expiration date, such as peroxide formers. By keeping these chemicals in check, you can effectively reduce the number of unmonitored chemical reactions in your storage space and ensure a much safer working environment for your employees. 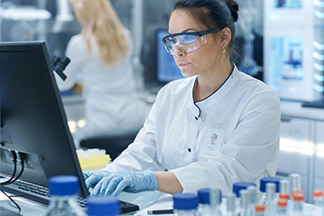 If you do decide to invest in chemical inventory software, be aware that many software options have benefits that go beyond meeting your federal, state, and local obligations. Chemical tracking and flagging is one the most beneficial aspects of setting up one of these software programs. Many programs offer a chemical barcoding system that assigns a unique number and bar code for every chemical entered into the system. This allows you to enter a chemical into the system as you receive it, track that chemical throughout its lifetime in your facility through routine chemical reconciliations, and ultimately allows you to scan the material out of your inventory when it is consumed or disposed of. This process ensures you continuously have the most accurate snapshot of what is currently on your site regardless of size or number of chemicals. Employing the right inventory tracking system can help you flag certain types of materials you want to keep an eye on. Linking safety data sheets with chemical inventory makes this step super simple. 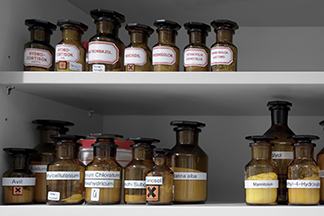 Whether you want to flag peroxide formers, acutely hazardous chemicals, or expiration dates, you’ll want to gather your chemical inventory management needs and wants in order to choose the right program for you. Barcoding and chemical tracking can be a great cost saving measure as well. By having full knowledge of what chemicals are onsite you can more effectively ensure they are used completely and within their expiration date. This reduces the costs associated with over-purchasing chemicals and in turn the disposal fees associated with overstocked or expired chemicals. For information about our chemical inventory services, visit our Chemical Inventory Management page. If you would like to speak with one of our experts, click the button below to request a free initial consultation.